The above animation was created by Joe O’Donnell, an experienced professional teleprompter operator who works out of Detroit. Two textbook-size panes of glass rest on top of two tall, narrow poles and flank the podium. This is the Presidential Teleprompter. During this campaign season, it was ubiquitous on both Democratic and Republican candidates’’ events. By using a teleprompter, a speaker has greater eye contact with the audience. One must not forget, however, that it is a performance device only. Sometimes the speaker becomes more focused on simply reading the words rather than conveying passion for and an understanding of what he/she is actually saying. One should also be aware of the possibility of losing one’s place. If the teleprompter operator’s speed does not follow the speaker’s or if the speaker goes off script, problems ensue. It can be embarrassing. How to deal with this? The speaker should have the written text on the podium for reference in such a contingency. We also have the Robotic “Rise and Fall Presidential Teleprompter” Remote Height Adjusting System. This allows the two glass panels to be raised or lowered remotely to the exact height required by more than one person. No longer does an assistant have to run onstage to adjust the height of the prompter for the next speaker. Now, the operator sets the exact height for each performer or speaker in advance and then, as soon as one is finished, uses the remote control unit to adjust the height to the exact specifications established earlier. Call us and together we’ll make your project so much better! $945 for a 10 hour day – $845 for half day. It comes with an operator, laptop, software, all cables, and distribution amp. Presidents since Eisenhower, virtually everyone, most notably, Kennedy, Johnson, Reagan, both George W. and George H. Bush, President Obama, and the current President have all used teleprompters at one time or another. It has become a staple of public speakers everywhere. 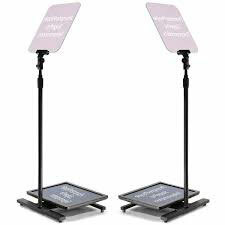 Many celebrities and dignitaries from the United Nations have used our teleprompters. To name a few: First Lady Michelle Obama, President Clinton, Beyoncé, Liam Neeson, Hugh Jackman, et al. 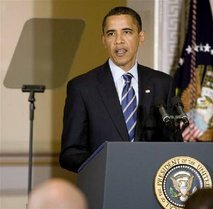 There are countless occasions that call for the use of a teleprompter. We have had clients from Europe, South America, and, of course, here at home in various states. We also have the Robotic Adjusting Prompter system. This allows the two glass panels to be raised or lowered remotely to the exact height required. No longer does anyone have to run onstage to adjust the height of the prompter for the next speaker. The operator sets the exact height for each performer or speaker in advance and then, as soon as one person is finished, uses the remote control to adjust the height to fit the next person. Call us and we’ll do our best to make your project so much better! This unit comes with an operator, laptop, software, all cables, and distribution amp. And check out our standard through the lens prompters. 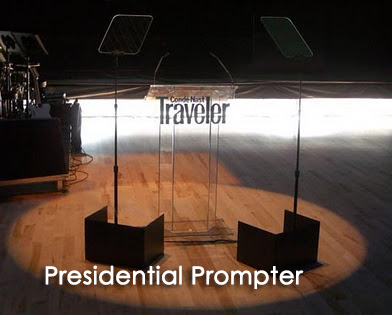 The Presidential Teleprompter system can be complemented or replaced by one or more Confidence Monitors. These are large screens placed strategically about the space enabling the speaker to move freely about. They can be mounted low on the stage tilted up so the speaker can walk back and forth and just by glancing down see his/her copy. 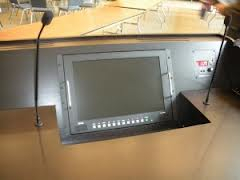 Or we can place one or more large monitors in the rear of the room so the speaker can actually leave the podium or stage area and walk down among the audience without losing connection with the scrolling copy on the monitor. 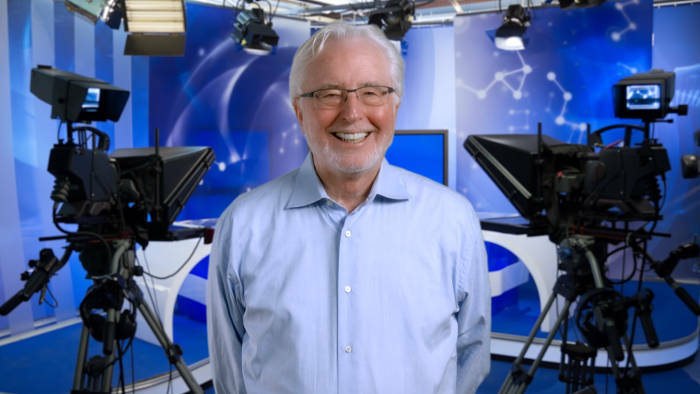 We use our Speech Teleprompter and Confidence Monitor systems for “mission critical” speeches from prominent individuals referred to above, as well as The Rolling Stones, the cast of “Glee,” and key executives of Fortune 50 companies. Please call Bill Milling, at 917-414-5489 anytime to discuss which solutions may give you the most benefit. Reach out in an emergency, we can get you any of our prompters 24/7. When You Have To Get It Right The First Time!